LKO is excited to announce the addition of Dr. Stephen Hyman to our practice! Our primary objective is to restore function to patients afflicted with the entire spectrum of musculoskeletal and neurologic disorders. Physical medicine and rehabilitation (PM&R) specialists (also referred to as “physiatrists”) often diagnose and evaluate patients with back or neck pain, joint pain, sports injuries, stroke, traumatic brain injuries, etc. The primary goal is to maximize function — often through focused physical therapy, medication and non-operative interventions. We thoroughly believe that the integration of non-surgical and surgical specialists ensures that all patients receive a comprehensive and efficient evaluation and have access to the most-effective treatments. Our leadership in the use of innovative rehabilitation technologies and treatments allows us to bring the most-modern and effective approaches to our patients. 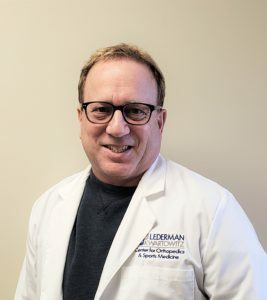 To schedule an appointment or to learn more about Dr. Hyman, call our office at (248) 669-2000! What is a MAKOplasty knee surgery? Keep your New Year’s resolutions in 2019 with these tips!